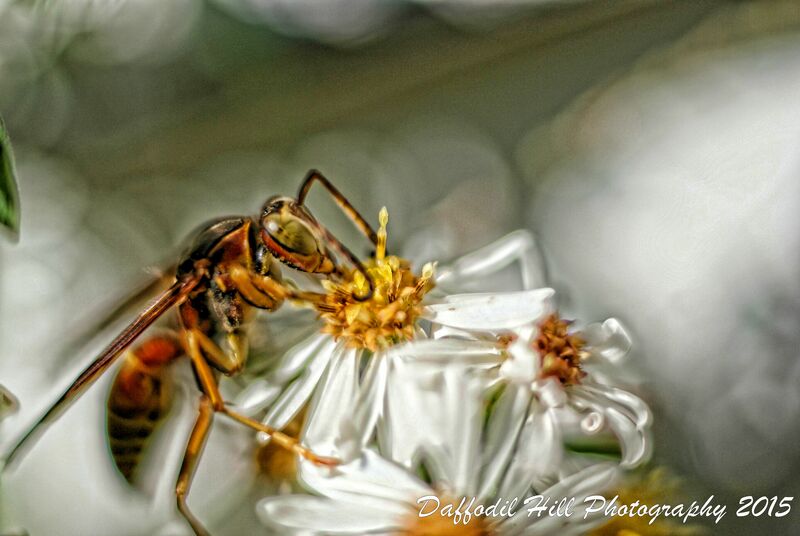 Late fall I took several macros of a wasp feeding on a Common Wood Aster. I found the process very eye-opening and a new-found appreciation for wasps.So when I found this one today I thought it would be cool to play with a few effects.Now don’t ask me how I got here: I am that person who noodles around till it sings to me then forget how I got there. I am going to attempt to turn this one into digital art. Not sure what medium but oil paint will be my starting point. Haha! “Noodles around.” Glad to know I’m in good company. I can never remember what I do to my images, either! Very cool effects, particularly on the petals. They have a pearl-ish appearance.